SD cards rock for easily boosting the storage capabilities of PCs—I like to use them for Raspberry Pi images, among other things. There's just one problem: SD cards can be downright annoying to use with a computer. Most SD cards are write protected, and even when you think write protection is disabled Windows still often won’t recognize the card as writeable. But there are a few things you can do to correct this situation. Success will vary depending on your hardware, of course, but here are three ways you can try to get SD cards to work with your set up. Before you do anything, format it. The first thing you should do when confronted with the dreaded “this disk is write protected” notification is to simply reformat the card in a digital camera. Then you can either reformat it again in a PC using a tool like the SD Association's SD card formatter software, or just leave it and see if it works as-is. The second thing you can try is the old school tape method. Just like VCR and audio cassettes from the 80’s, SD cards have a physical write protection mechanism that you can disable. On the side of the card you should see a little plastic slider as well as the word “lock” with an arrow pointing down. This tells you that if the slider is in the bottom position your PC will consider it write protected and will not write data to it. But the lock switch can slip or be a little inexact and some people swear that you can fix this with scotch tape. What you do is put a small strip of tape over the entire lock switch gap, being careful not to cover the metal strips at the top of the card. Another school of thought says you should also cover the notch on the opposite of the card. This will supposedly convince the PC that your SD card is out of write-protected mode. I have to be honest; this has never worked for me, but you’ll find others online who swear by it. Just be careful to use thin tape and that it’s tight against the card. If you don’t do it properly there is a chance the tape could fold and the card will get stuck in the slot. At which point, you’d better have some basic PC tools handy. If all else fails, pick-up a an SD memory card reader that plugs into a USB port. You can get one that looks like a standard thumb drive with slots to plug your SD cards into for $5-$10 at pretty much any office supply store or computer shop. These drives don’t care about SD card write protection and should completely ignore any overwrite restrictions. That means you’re technically relying on your USB port and not the SD slot. 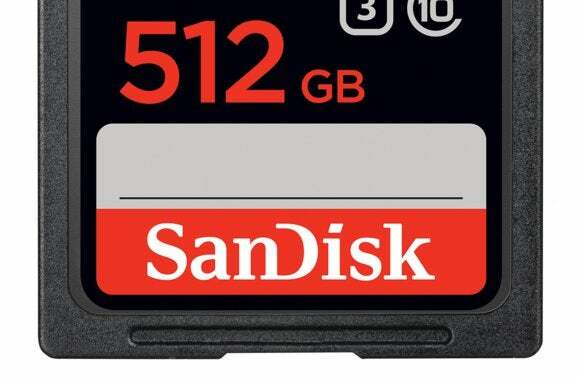 But you still get the prime advantage of using SD cards: Lots of storage capacity in a small form factor.